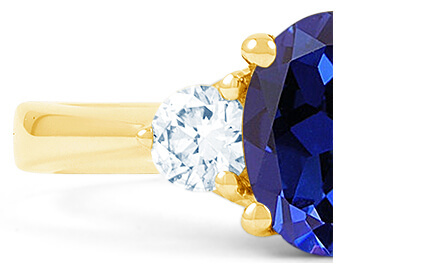 The blue sapphire is a stunning, deeply-coloured gemstone and its uses can be traced back to ancient Persia. A stunning addition to any jewellery collection, the sublime sapphire rings here at Diamond Boutique make a stunning gift for that special occasion. A popular choice amongst celebrity and royal weddings, the sapphire is also famed for its use in eternity rings and show-stealing pendants. Explore the full range below and discover your sapphire ring of choice. To make it extra special, enquire today about our free engraving service. Contact us on +44 (0) 203 6959 885 for more details.